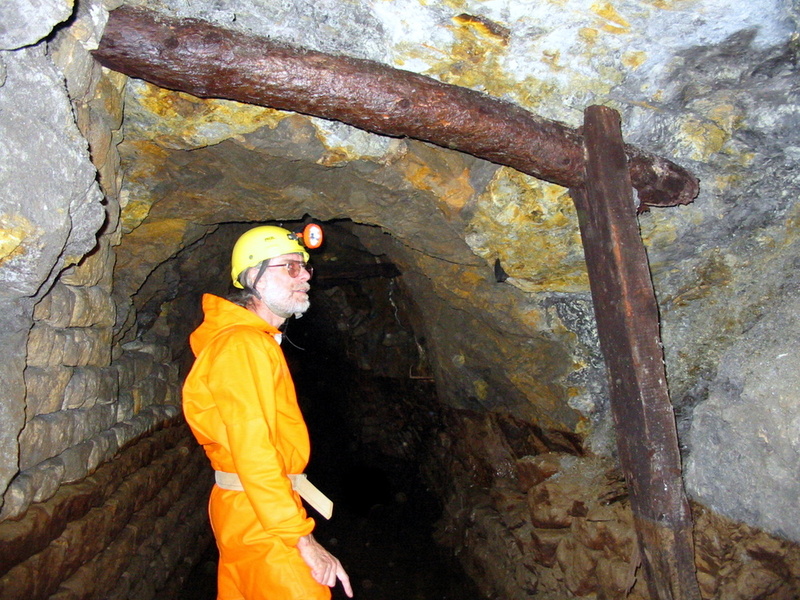 This photograph taken in 2006 by Peter Hodge shows a section of passage midway between the dam and the first blockage, which is supported by a roof and a wall prop. These props are in quite good condition, but others further on are rotten. Note that a section of the wall has been lined, and that the wall discolouration shows that before the water level was lowered this section was waist deep. A bracket used for holding the compressed air pipe can be seen at about the old water level on the right hand side of the passage. Click the image to see a larger version.